a Christmas Music CD in production. You can sneak a peek here. 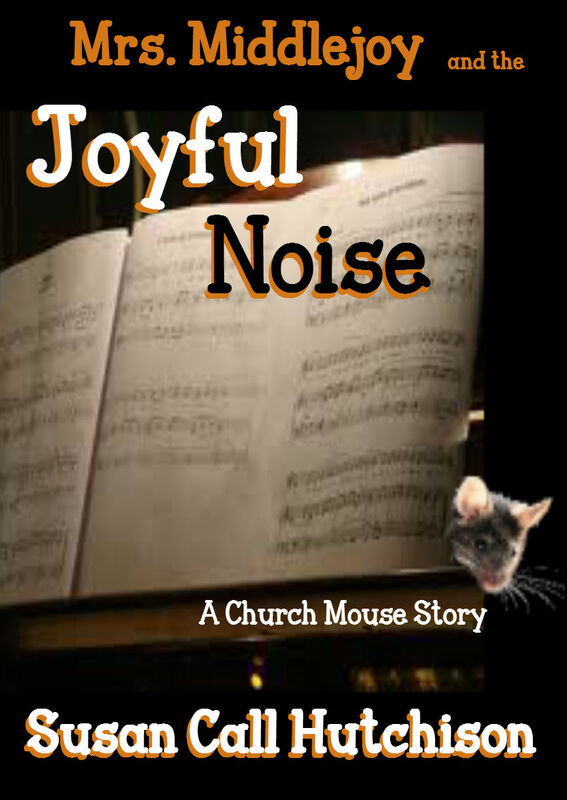 I’ve even followed the Church Mice outdoors to catch them singing their own version of Jingle Bells. 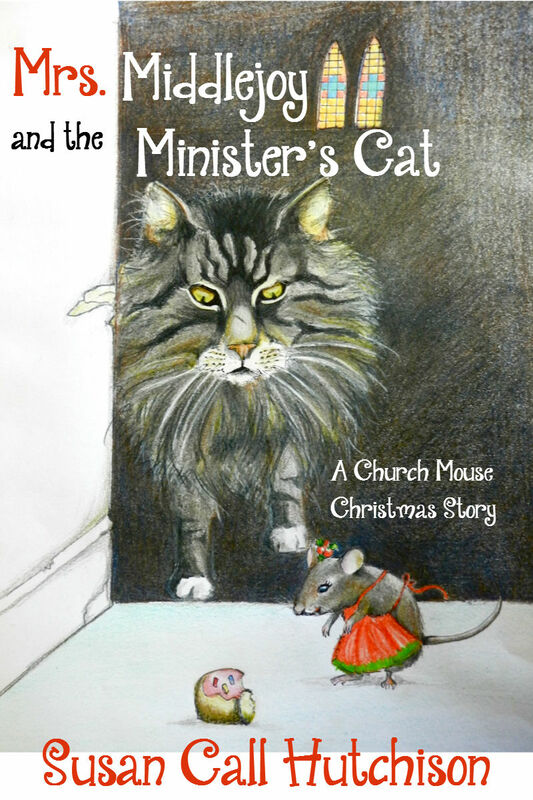 I’m also very excited that my friend Kath Unsworth, Australian children’s author and illustrator has drawn a new cover for Mrs. Middlejoy and the Minister’s Cat — and inspired me to update Mrs. Middlejoy’s other covers. 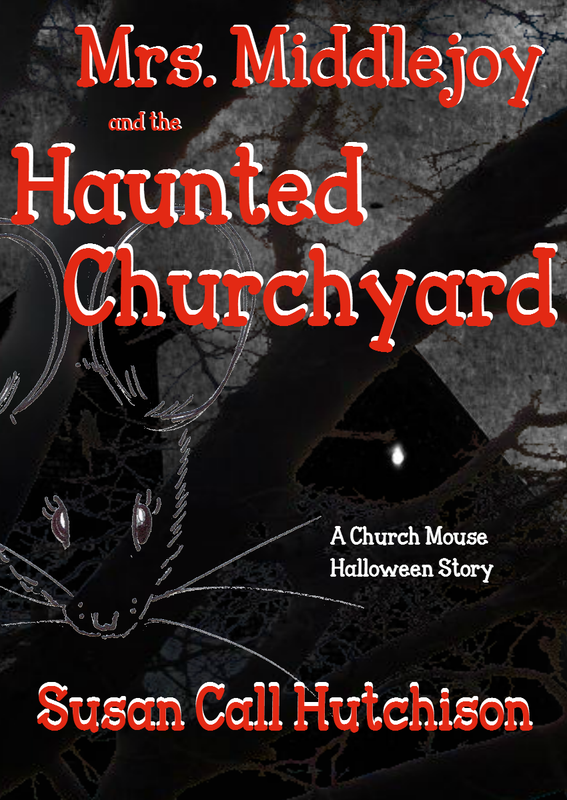 I first heard the mice sing last year as I was writing Father Churchmouse’s Christmas Eve Service. 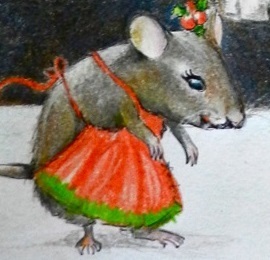 They have been begging me ever since to let our readers hear the traditional Christmas Hymn, Carol of the Mice. I finally found a cool recording studio and talked my friend Dave into letting me bring the Church mice in to sing. I think it sounds remarkably like a mouse congregation, singing from their hymnals. I decided to ask if they knew any more Christmas songs — and it turns out they have their own version of several of my favorite carols. I tell you, it isn’t easy taking down dictation from a choir of church mice. But I am a trained choral conductor and arranger, after all. I am particularly proud of their lyric to Twelve Days of Christmas. Just as Mrs. Middlejoy and Father Churchmouse almost understand what is going on in the human world, their lyrics echo what they must have heard the humans sing: eight melted Milk Duds, six greasy crayons and five of those objects very dear to every mice: golden Things. All in all, this has been one of the most fun projects I’ve ever done. Fellow writers, have you ever found a book branching out in a new direction because the characters insisted? Tell me about it! This entry was posted in Children's Books, Children's Music, Christmas Carols, Mrs. Middlejoy Books, The Writing Process, Writing about Religion in Children's Books and tagged Children's Books and Music, Christmas Carols, Church Mice, Singing Mice. Bookmark the permalink. 17 Responses to Mrs. Middlejoy and the Church Mice Sing! Thank you so much! Mrs. Middlejoy is happy she made you laugh. Can’t believe how soon it WILL be Christmas, now. Glad we were the first carol of the year! This is way too exciting!!!!! I can’t wait to devour all your songs and stories and everything you’ve created! Susan I am excited for you and love the new website, I hope everything goes well and you sell lots of christmas joy with those cute singing mice. Happy to be sharing the journey too! Thank you, Kath. Your help has already made a big difference! Your drawing of Mrs. Middlejoy has given her a face I’m proud to show the world! Like Flora Post–this was first carol I’ve heard this season, and it brought a smile to my face. The song is so much fun! And, congratulations on the new website and book covers. I really like the designs. Thank you, Sheryl! It may be a little early for Jingle Bells — but time flies, and before you know it I’ll have to be thinking about St. Valentines Day…. Love this, Susan! And Kath is involved, how wonderful. I am bookmarking to come back and check everything out. Congrats! Thank’s Jennifer! Don’t you love Kath’s drawing? I do! She’s very talented. Ohhh the Christmas feels :””> Such cutie patootie mice. Thank you for visiting! Yes, when I was a little girl, I loved songs and stories and television, and I wanted to create the kind of stories and songs that I loved. I started writing very early, thanks to supportive parents and great teachers.